Lack of engagement with neighbours is causing difficulties for local authorities. A number of Local Plans have been declared unsound under the Localism Act 2011 after authorities failed to communicate with each other on the issue of strategic developments, such as housing. Local authorities can no longer be members of the ‘flat earth society’ but need to look beyond their borders and co-operate if they are to secure approval for their long-time-in-the-making Local Plans. That appears to be the stark message coming from the planning inspectors undertaking examinations of Local Plans. The proposed plan for Aylesbury Vale DC was declared unsound and Mid Sussex District Council was told to withdraw its plan on the basis it didn't comply with the Localism Act 2011. Brighton & Hove’s plan had complied, but none of its neighbours had agreed to help it to meet its acknowledged housing need targets, and so it was also declared unsound. What does this mean for house builders? Kentcentric asked its friends at DHA Planning for their views. Planning inspectors are making it very clear that authorities need to actively involve their neighbours when preparing their plans, simply consulting them is not enough. The message is that they must leave no stone unturned to find every opportunity to meet identified housing needs in full. If an authority genuinely believes it cannot meet the need within its own boundaries, then it needs to discuss options elsewhere, rather than just try to wipe its hands of the issue. House builders also need to actively engage with local authorities throughout their plan preparation processes to assist them in identifying sustainable sites to help meet the need. 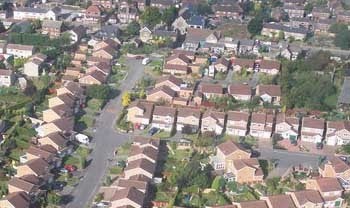 Authorities also know that if they cannot currently demonstrate a deliverable five-year supply of housing, appeal inspectors are likely to allow planning applications for residential developments even where they are not in line with adopted plans, so long as the development is considered sustainable. Those authorities who fail to engage properly with neighbours are simply adding delay to their plan preparation processes, creating opportunities for house builders to propose new sites through submitting applications. At least four of Kent’s local authorities recognise that they do not currently have a proper five-year supply, and six do not have an up-to-date plan in place. The longer these authorities take to get their plans in order, the greater the opportunities for house builders to submit applications on sites which would not have been considered for development in recent years.